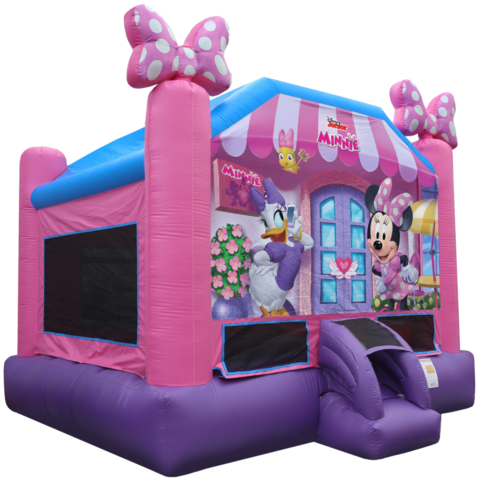 Now your little helpers can bounce,hop and skip with Minnie Mouse and Daisy Duck at their new pink Happy Helper Headquarters. Plenty of room with the larger 15x15 jumper for up to 6 happy helpers! 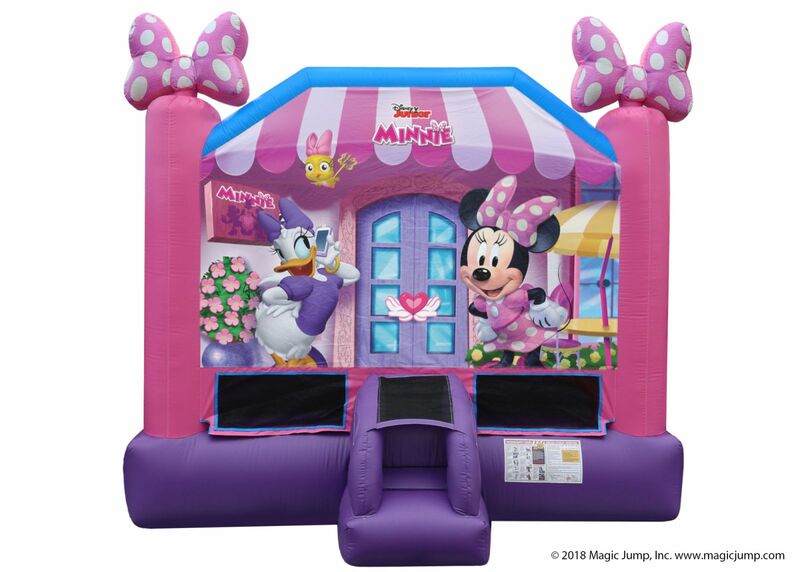 The Minnie Mouse bouncer is designed with fully licensed digital artwork with the iconic Minnie Mouse Polka Dot Bow at the top of both front pillars.Suitable for any ocassion! 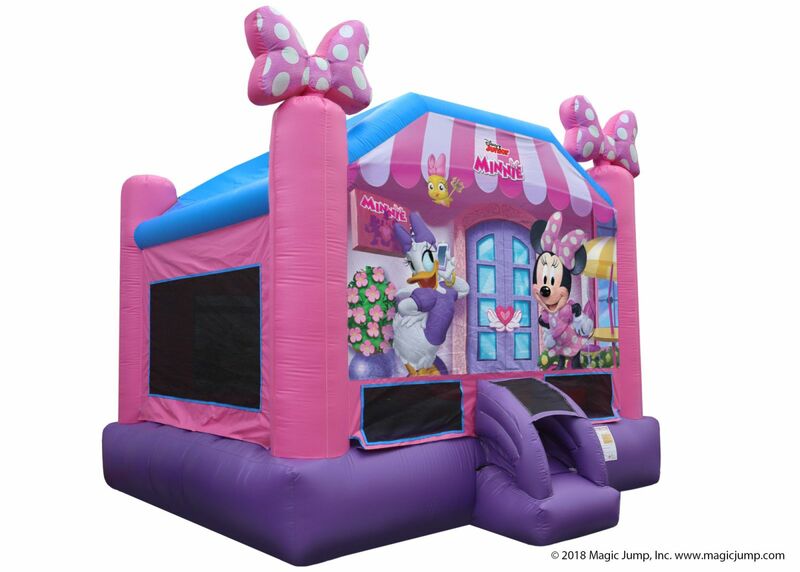 Your little helper wont forget the great adventure they had in the Minnie Mouse 15 Bounce House. Additional features includes the safer enter/exit ramp and emergency exit.